Wake your camping buddies up to the sounds of a percolator bubbling over the campfire-and the heavenly smell of a fresh brew-with the Stanley Adventure percolator. Take your camp food to the next level with the Stanley Adventure Base Camp Cookset 4. This 19-piece cookset packs full-kitchen convenience into a camp-friendly package for truly epicurean adventures. The Stanley Adventure Camp cookset includes a 0.7-liter pot, a lid and 2 cups for whipping up quick meals while you're backpacking. 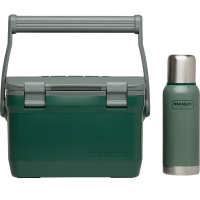 Stanley Adventure Cooler - 16 qts. What's cooler than being cool? 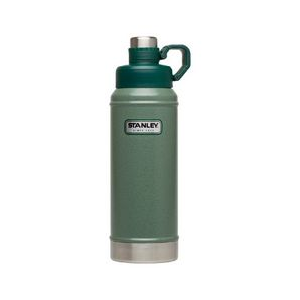 Probably the Stanley Adventure cooler. This 16-quart cooler keeps 21 cans of your favorite brew or soda ice-cold for up to 36 hours. 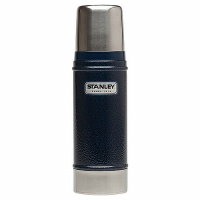 Stanley Adventure Cooler - 7 qts. Keep your tailgates, barbecues and campouts going as long as you'd like with the help of the Stanley Adventure cooler.  This 7 qt. cooler keeps snacks and drinks cold for up to 27 hours. All you need is a stove, a knife and the Stanley Adventure Series Prep+Eat 9-Piece frying pan set. It has everything else you need to prep a meal and then eat it while camping.